We are pleased to announce that tech entrepreneur and philanthropist Tom Ilube CBE will be the keynote speaker at Cass Innovate 2018. Tom is the founder and CEO of Crossword Cybersecurity, a technology company that works with Universities invested in cybersecurity research to bring their cutting-edge ideas into the commercial world. As a tech entrepreneur, Tom has been successful in building companies such as the internet bank Egg, where he was part of the founding team as Chief Information Officer. Previously, he founded Garlik, a venture capital-backed identity protection company, which he sold to Experian in 2011. During his tenure as CEO, he persuaded Tim Berners-Lee, founder of the World Wide Web, to join his board of advisers. As an educational philanthropist, he launched the African Science Academy in Ghana – now the leading girl’s science and technology school in Africa. Tom is Chair of Governors of ADA College, the UK’s National College for Digital Skills. He is also Chair of the African Gifted Foundation and was founding Chair of Hammersmith Academy. 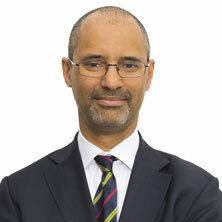 Tom was named as the most influential person of African and Caribbean heritage in the Powerlist 2017, and in the same year, Tom was appointed as a non-executive director of the BBC. Tom is a Cass MBA alumnus and honorary graduate. He was awarded a CBE for services to Technology and Philanthropy in the Queen’s Birthday Honours list in June 2018. Joining Tom on the day will be Jess Butcher MBE and Julia Hobsbawm OBE. Jess is an entrepreneur who co-founded Blippar, a leading computer vision and augmented reality technology platform. Blippar was funded to the tune of over $100 million in 2017 and ranked within CNBC’s global ‘Disruptor 50’ list alongside the likes of Uber, Airbnb, Snapchat and Spotify. Jess is the recipient of numerous entrepreneur and tech awards including BBC’s Top 100 Women and Fortune’s Most Powerful female entrepreneurs and is a passionate start-up mentor, public speaker and writer. She was awarded an MBE for services to digital technology and entrepreneurship in the New Year’s Honours list 2018. 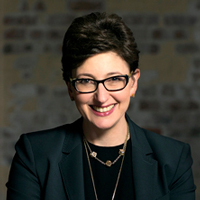 Julia Hobsbawm OBE is an entrepreneur and author who has defined Social Health as the antidote to the 'Age of Overload' for businesses, government and individuals. Her new book, Fully Connected: Surviving and Thriving in an Age of Overload (Bloomsbury, 2017) has been shortlisted for the Chartered Management Institute’s Management 'Book of The Year; and for 'Business Book of the Year'. She was recently named as Editor-at-Large for Social Health on Arianna Huffington’s Thrive Global. Julia is the founder of Editorial Intelligence, an Honorary Visiting Professor at Cass Business School and regularly consults, writes, teaches, and gives speeches and workshops. She is also a broadcaster and has written and presented two series for BBC Radio 4 and regularly appears on television and radio networks and podcasts. Julia was awarded an OBE for services to business in the Queen's Birthday Honours list in June 2015. Cass Innovate will be one of 2018’s premier inter-disciplinary events exploring ‘The Future is Now’. Technology changes quickly, transforming the world around us. Applied robotics, artificial intelligence and augmented reality – once the realm of science fiction – are now embedded in our daily lives. Through a variety of workshops, interviews and panel discussions, the conference will explore how rapidly developing technologies are changing the ways we work, create and do business. Bringing together academics, practitioners and students, ‘The Future is Now’ will expose more than 200 delegates to best innovation practices, successful entrepreneurship stories and leading research. It will also provide extensive and diverse opportunities for networking with a wide range of entrepreneurs, experts and decision makers. Attend Cass Innovate and learn how to hone your entrepreneurial skills and creative capabilities. Early bird tickets are on sale now.